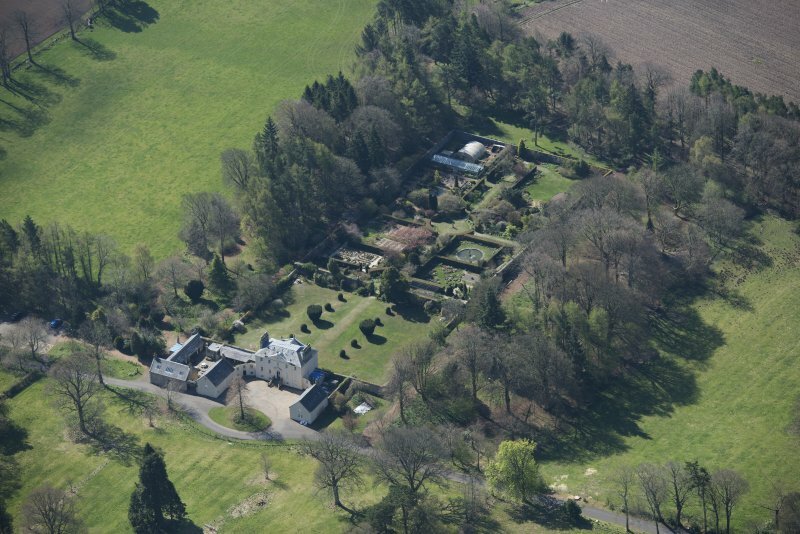 Oblique aerial view of Greenbank House, looking SSE. 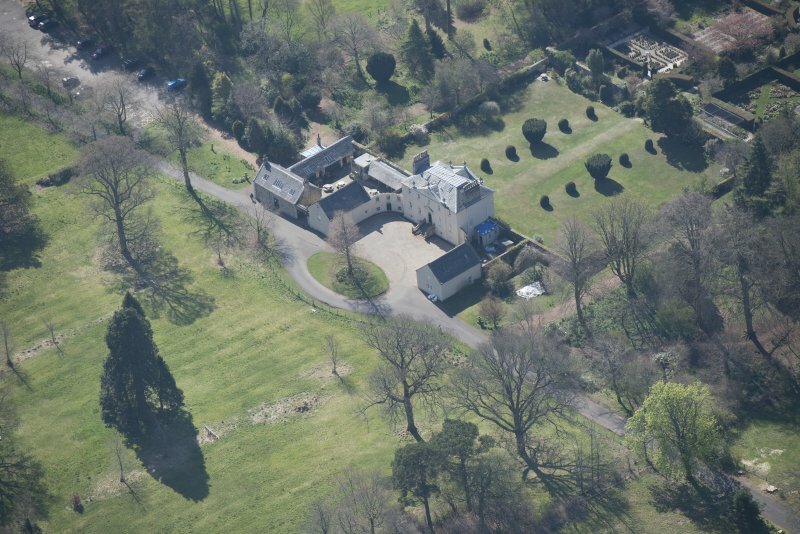 Oblique aerial view of Greenbank House, looking WSW. 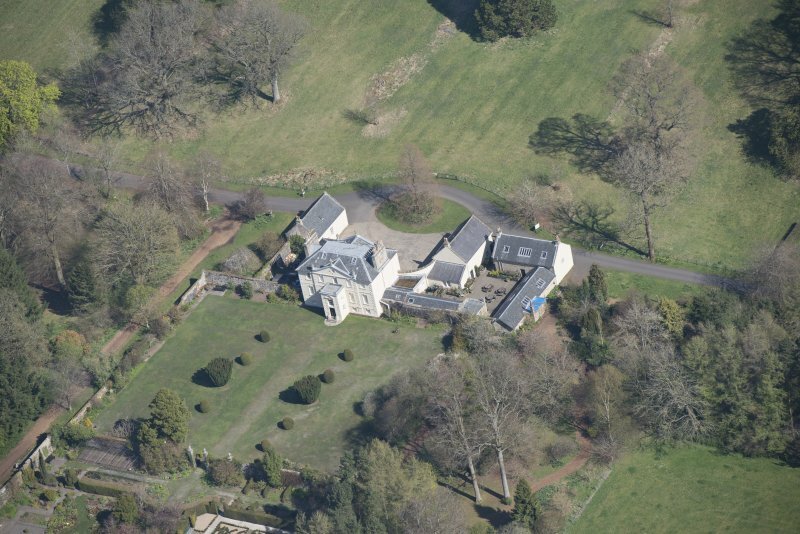 Oblique aerial view of Greenbank House, looking SE. 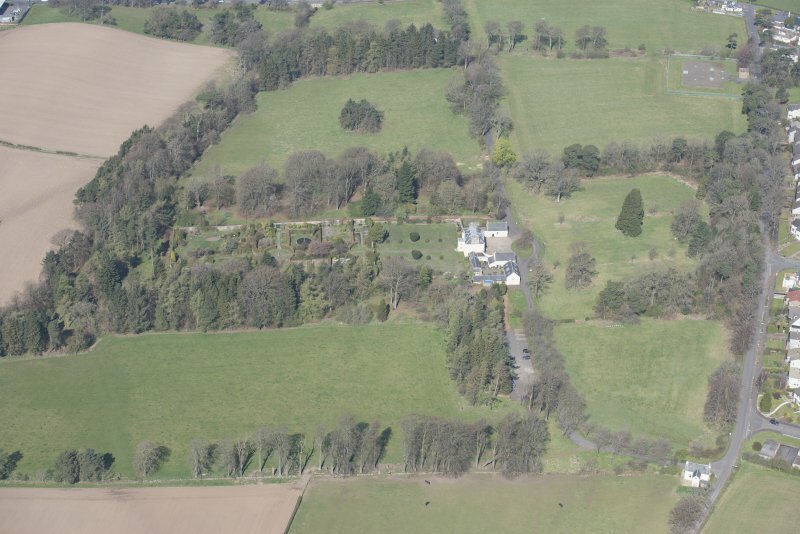 Oblique aerial view of Greenbank House, looking W.
Oblique aerial view of Greenbank House, looking NNW. 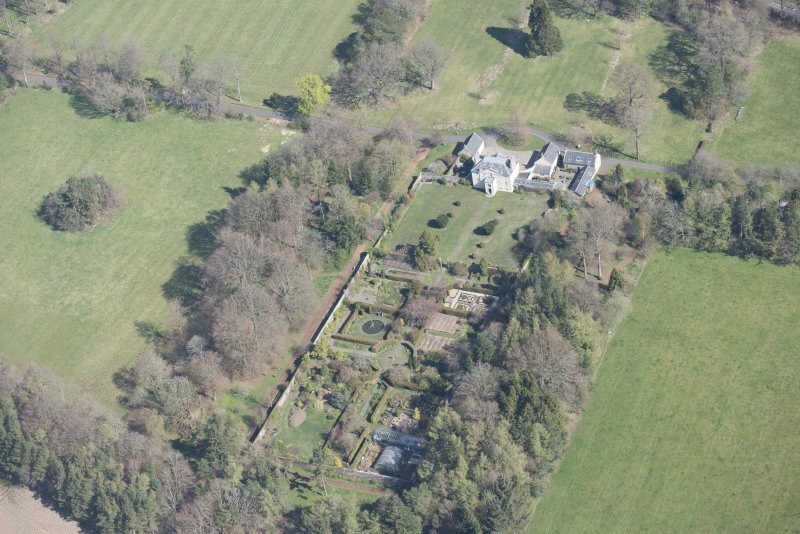 Oblique aerial view of Greenbank House, looking N.
Oblique aerial view of Greenbank House, looking NW. 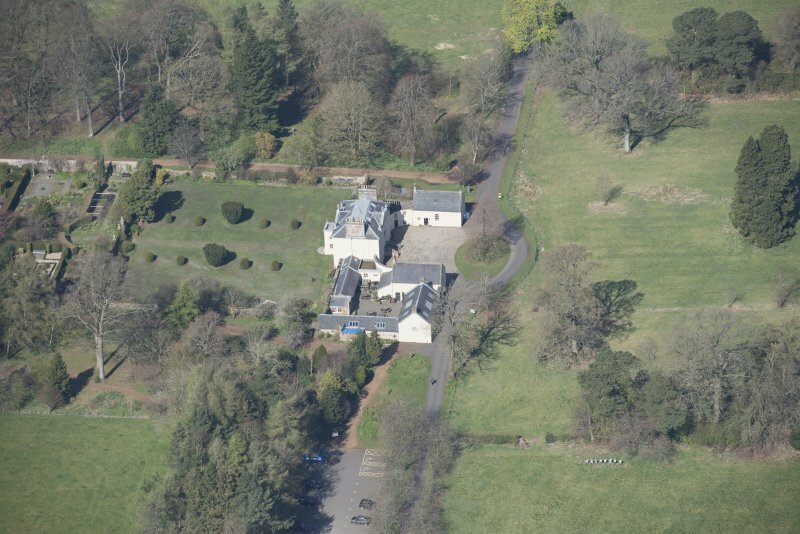 Oblique aerial view of Greenbank House, looking SSW. 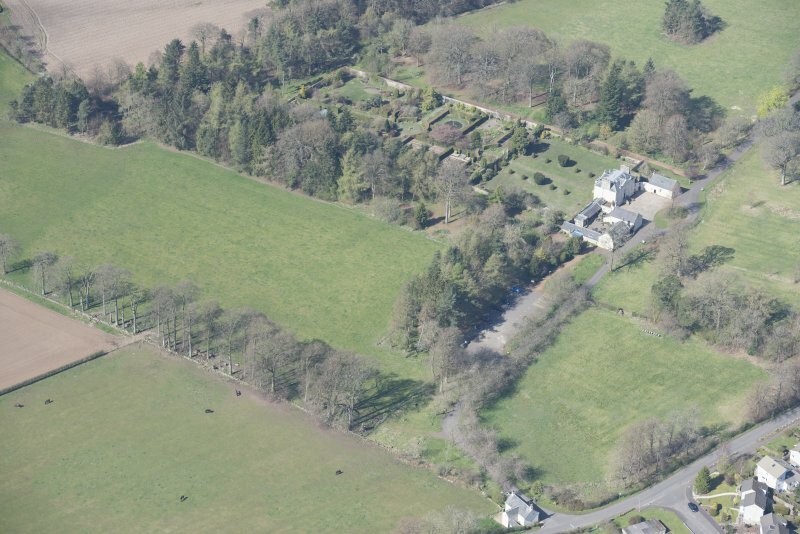 Oblique aerial view of Greenbank House, looking S.
Oblique aerial view of Greenbank House, looking WNW. 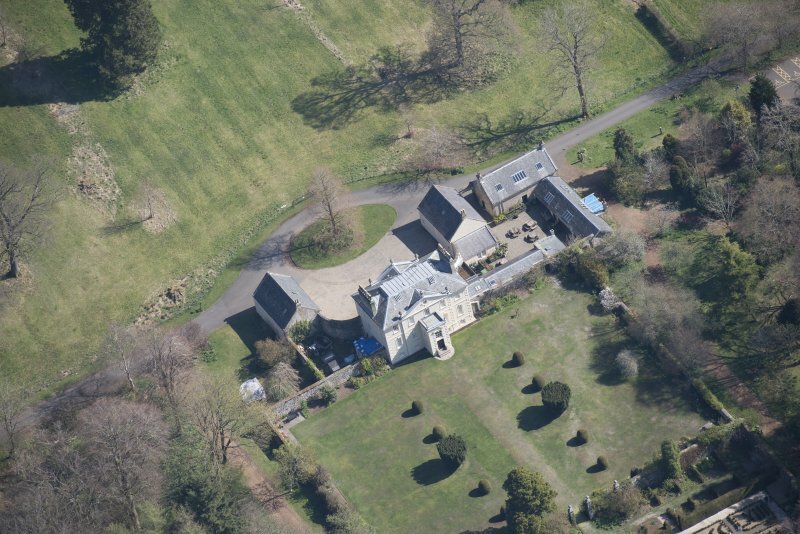 Oblique aerial view of Greenbank House, looking NNE. 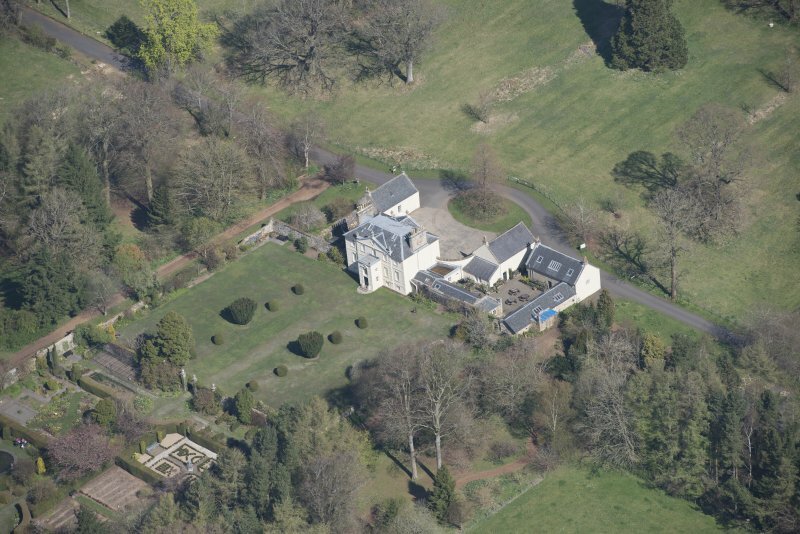 Oblique aerial view of Greenbank House, looking NE. 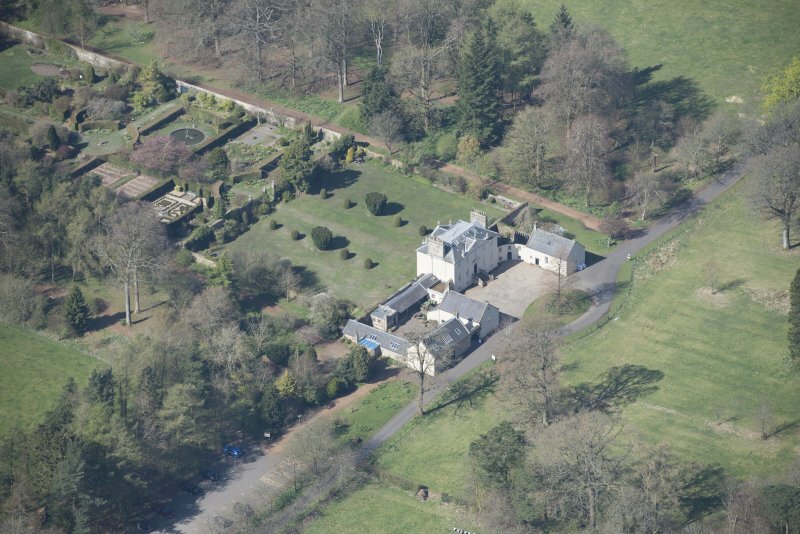 Oblique aerial view of Greenbank House, looking ENE. 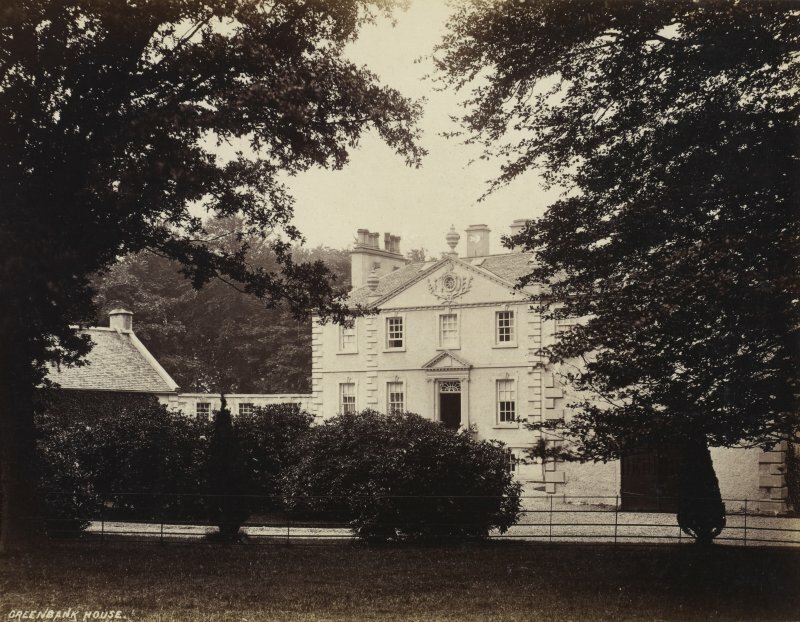 Dreghorn died in 1764, and the building was completed the following year for Robert Allason, grandson of the local farmer, who started as a baker's apprentice in Glasgow's Gorbals, then went on to become one of the elite Virginia merchants. 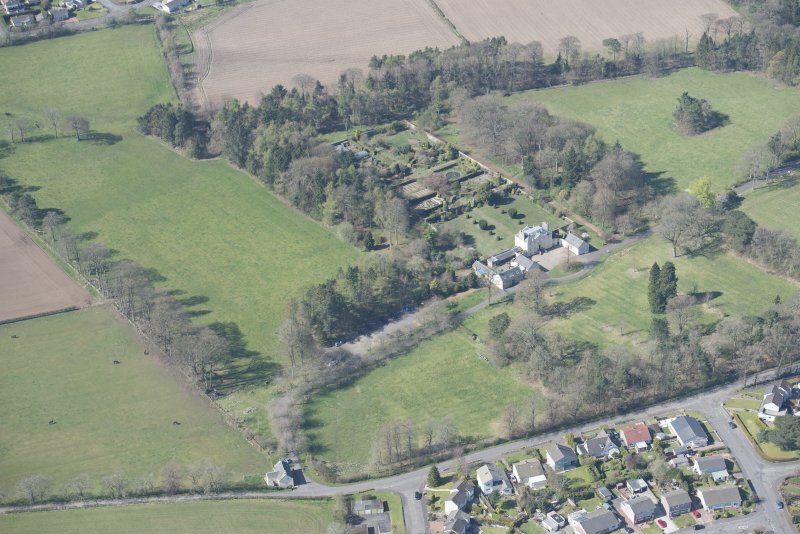 Greenbank, at a height of about 90m (300ft), sits on a rise above Mearns Road, looking north over the Clyde Valley. 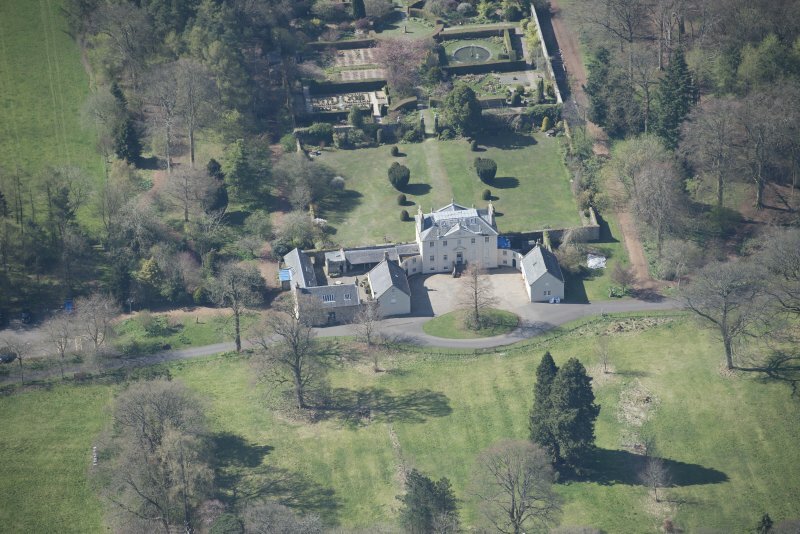 With 16 formal rooms, plus large and convenient offices, Greenbank is one of the few mansions of that period around Glasgow surviving intact and is unique in its full symmetrical frontage, with two projecting wings joined by curved screen walls in a quadrant. 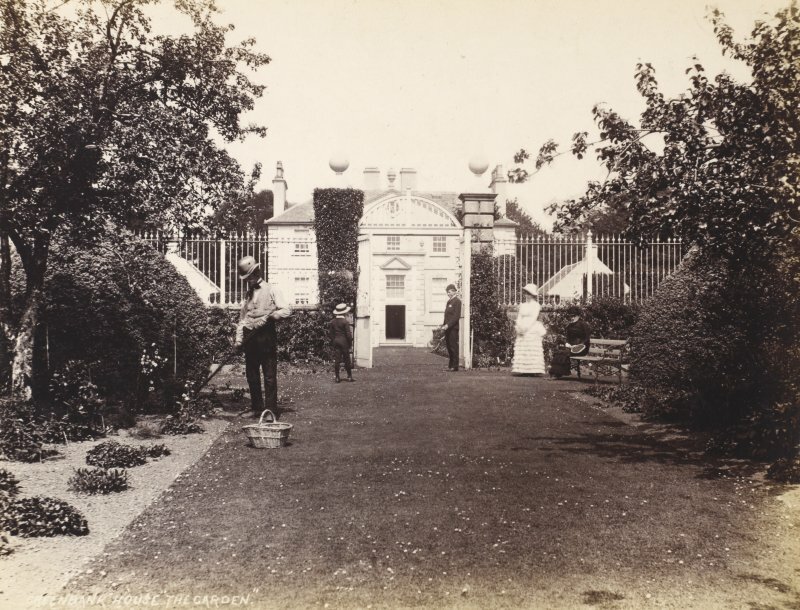 Allason was also a pioneer in building a formal walled garden planted with fruit trees and vegetables rather than flowers and shrubs. 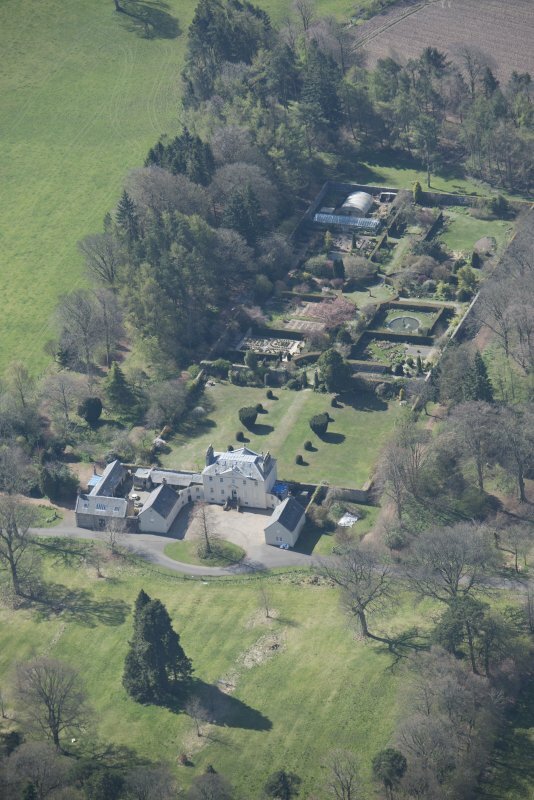 National Trust for Scotland, gardens open to the public, guide book. 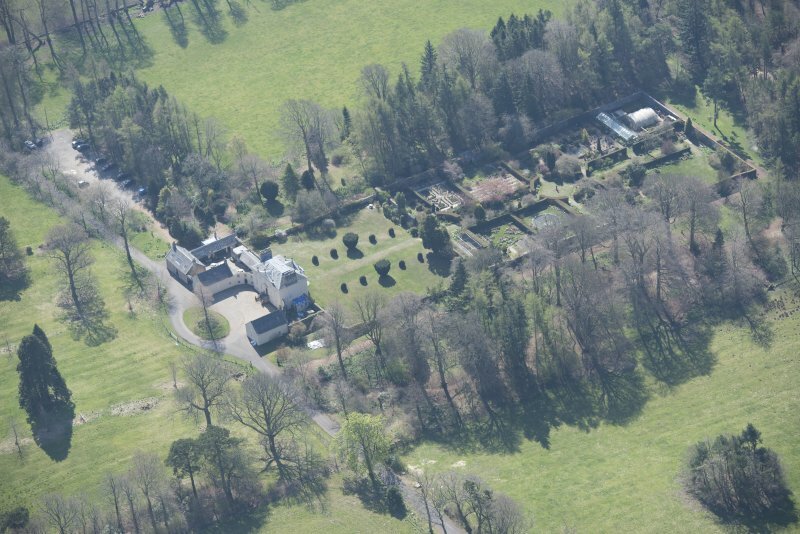 Greenbank House, a Georgian mansion, was built about 1765. 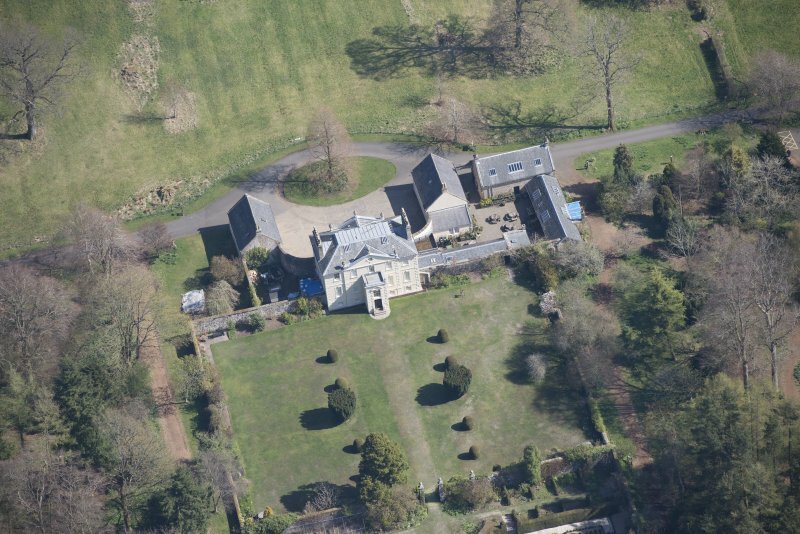 It is two storeys high and has a basement. 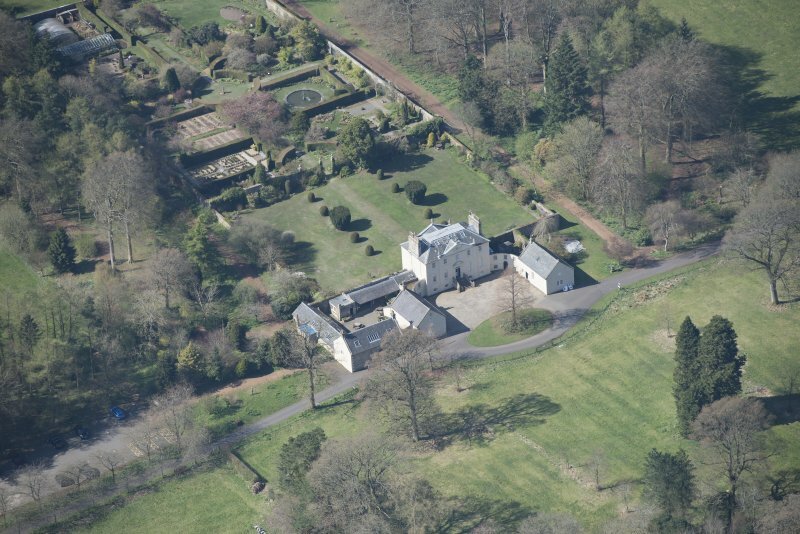 Two projecting wings are connected to the main house by curved screen walls, forming a forecourt. Lintel at Greenbank dated 1763. Information contained in letter from T C Welsh to OS, 7 September 1975. NS55NE 23.01 Centred on 56069 56580 Garden, sundial. 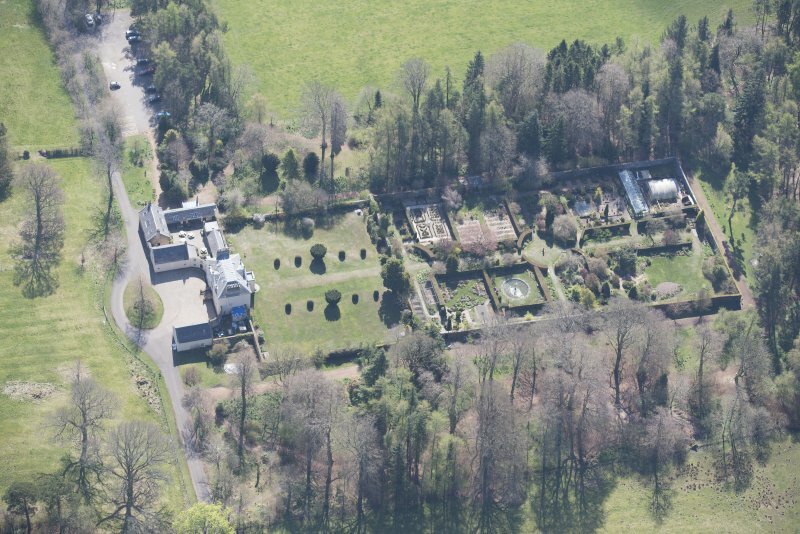 NS 5610 5663 A ground resistance survey was carried out on 4 June 2013 in the walled garden at Greenbank House. 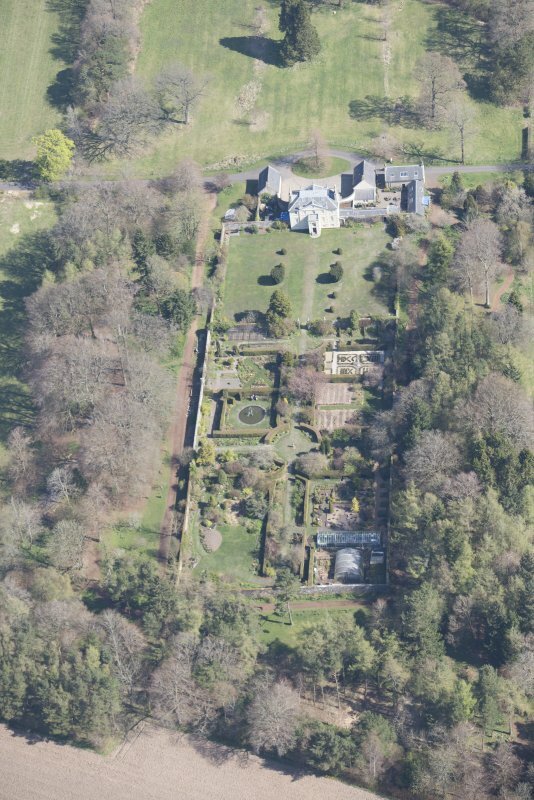 An area of 52 x 40m was examined to look for evidence of the layout of the earlier formal garden. The survey recorded probable paths or hard standings as areas of high resistance. Several areas of low resistance were also recorded, an almost perfect square of c7 x 7m is possibly the site of a flower bed or pond.